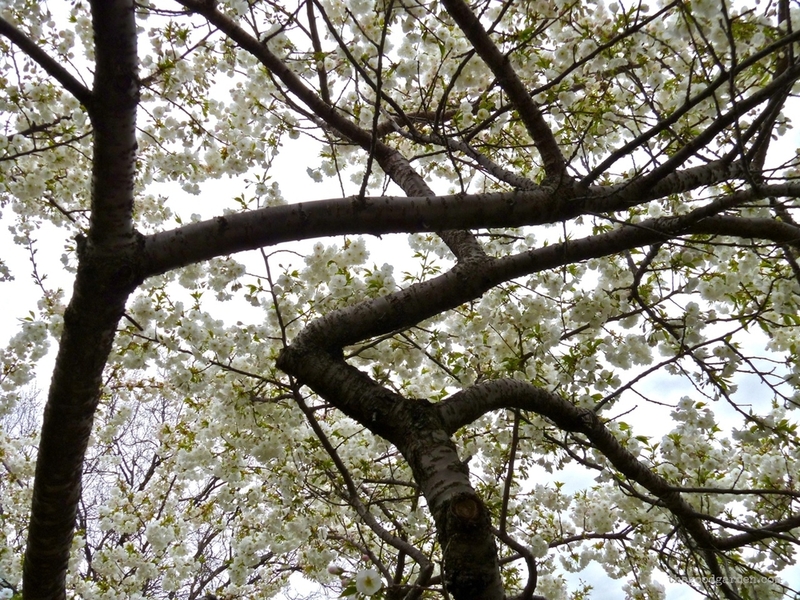 Nothing like cherry blossoms in spring to lift the spirits. These natives of the Himalayas play a key role in the Chinese, Korean, and Japanese garden. 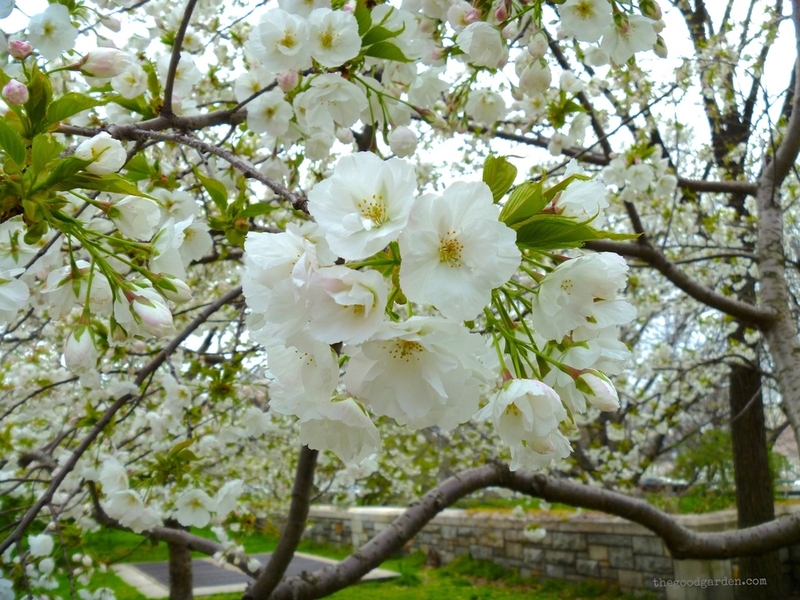 Among the first trees to bloom, cherries welcome spring, transforming winter’s gray into clouds of white and soft pink. And when planted in groupings, they make a huge impact. Spent petals cover everything and remind us of the ephemeral nature of life. In the US, cherry trees are also a symbol of the friendship between the peoples of Japan and the US, thanks to Eliza Scidmore. In 1885, Eliza began a campaign to bring cherries to the US capital. Remarkable really given that Japan had just been forced open to the West in 1853. It would take her over 25 years to make it happen. Even when the project was in full swing in 1909, a series of mishaps took place. 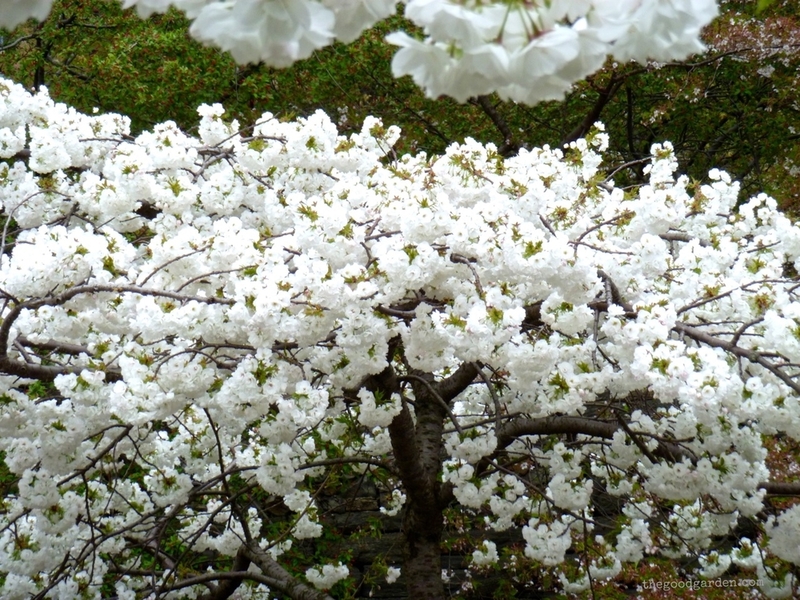 The first 2,000 cherry trees donated by the City of Tokyo turned out to be mislabeled, the second batch of 2,000 sent to replace these turned out to be diseased and had to be burned. It wasn’t until 1910 that over 3,000 correctly labeled, healthy trees arrived in insulated rail cars in DC. Over the next 10 years thousands of additional trees were planted to give that city its now famous collection. Not all of the trees shipped from Japan at that time went to DC. Less well known is that in 1912, The Committee of Japanese Residents of New York presented 2,000 cherry trees to New York City as a gift to celebrate the European discovery of the Hudson River in the 1600’s. Most were planted in Riverside Park between 100th and 125th Street along what is now called Cherry Walk and Sakura Park. Sakura is the Japanese word for cherry tree. While less famous than the trees in Washington, their siblings in NYC are loved and celebrated just the same. Thousands of residents pour into the park each year to appreciate these beauties. It is the New York City trees that are pictured above. Eliza Scidmore was an important author and served on the board of the National Geographic Society, the first female to do so. She was also a wonderful photographer. Her hand colored black and white images of cherry trees in Japan capture her love for this beautiful plant and Japanese culture. If you want to learn more about Eliza, check out Diana Parsell's www.agreatblooming.com. It is a wonderful site dedicated to honoring Eliza's legacy. For children, check out Andrea Zimmerman's children's book, Eliza's Cherry Trees. The peak bloom date for cherry blossoms is expected to during the first 2 weeks of April in Washington, DC, and the end of April in New York City. Time to plan your visits! A 1910's photograph by Eliza Scidmore Source: National Geographic Photo of the Day.